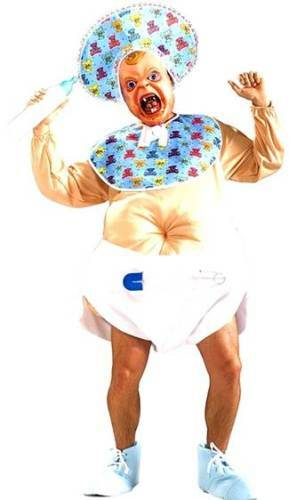 This big baby costume includes a jumpsuit, apron with pin, bib, bonnet with broach, pacifier and leg warmers. Includes jumpsuit with attached bib and headpiece. Incldues jumpsuit with attached bib and headpiece. Includes inflatable jumpsuit and 2 fans. Includes bonnet, bib, bodysuit and big diaper. 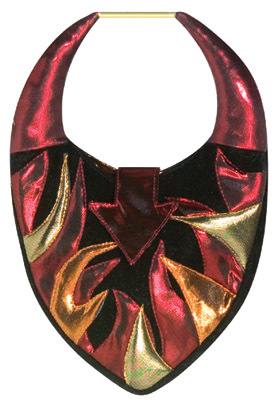 THE PURSE TO HOLD ALL YOUR POTIONS AND SPELLS! SHEER FABRIC AND RIBBON TIE TOP. 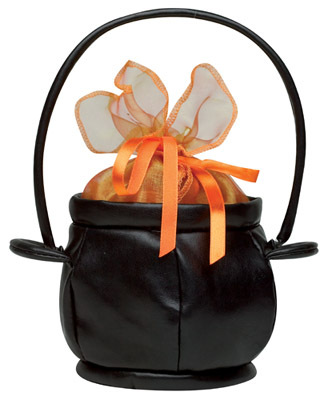 THIS FABULOUS HANDBAG IS JUST THE RIGHT SIZE AND LOOK TO COMPLEMENT YOUR DEVIL COSTUME! OF COURSE, STYLE IS NEVER LOST... EVEN AS A WITCH, YOU CAN BE A DIVA! 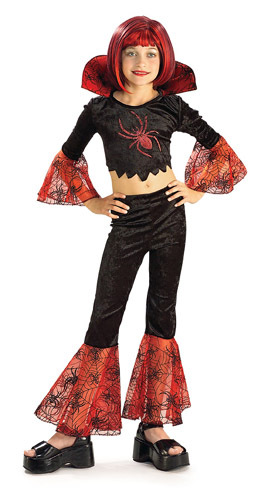 COSTUME INCLUDES CROP TOP WITH COLLAR AND BELL SPIDERWEB SHEER SLEEVES AND BELL BOTTOM PANTS.